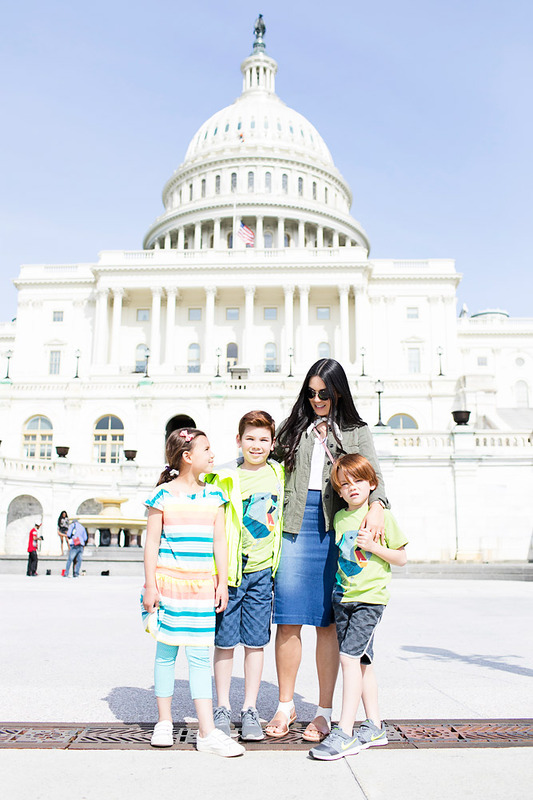 Traveling with our kids is something that we are passionate about and we love to do. But, that doesn’t mean that it is necessarily easy to do. 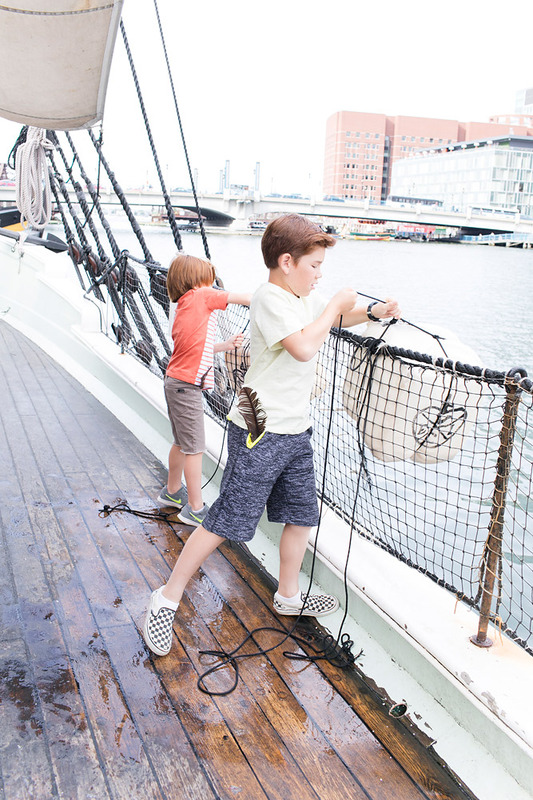 There are many things that we have to consider, plan, and prepare for in advance in order for any trip with the kids to be successful. Especially a ski vacation! 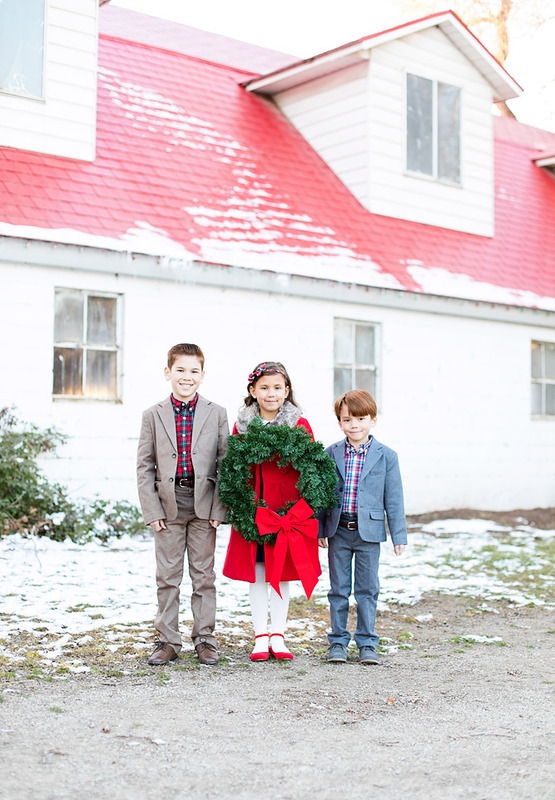 Kids definitely don’t make travel any easier, but it’s a good thing they do make it more fun! 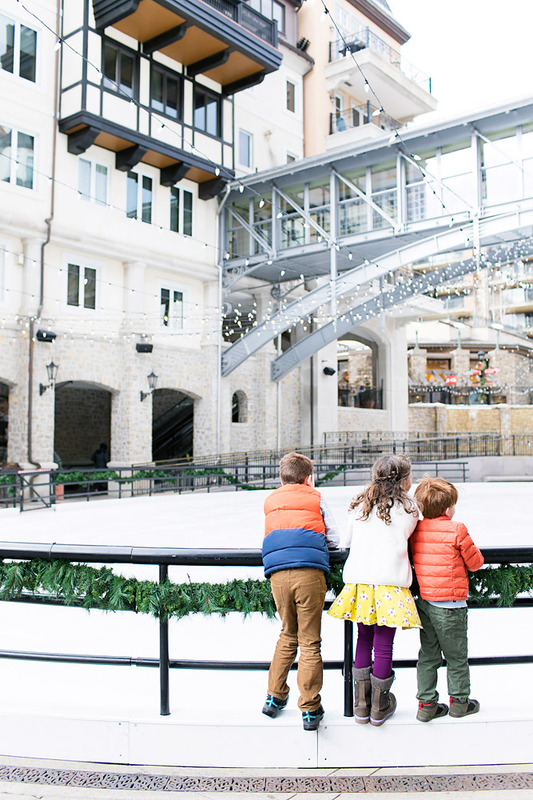 We have gone on enough ski trips with our children to really have a solid plan of attack if you will to ensure a successful ski vacation with the family! But, with that being said. Yes, our kids whine, yes, our kids cry (after all, they are kids), yes, it can be hard at times, but in the end, it is always so worth it to go home with the good memories, and a deeper closeness that vacations provide to families! 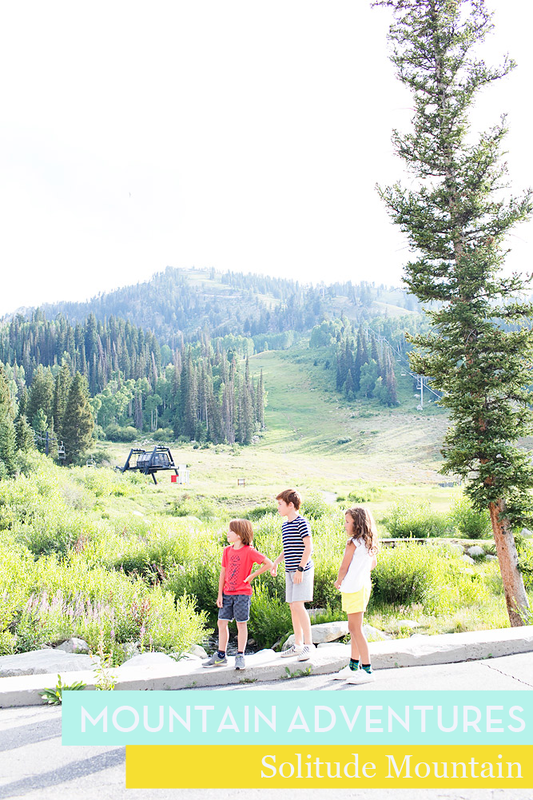 If you are a family that has been toying with the idea of a ski vacation, or love to ski, but haven’t yet committed to making a vacation out of it, then please read on! 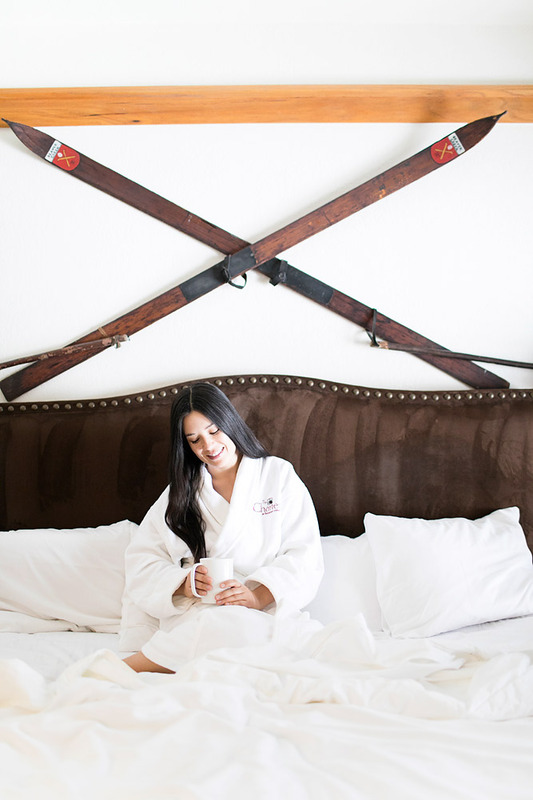 Our ski vacations are some of my very favorite vacations, and while it can be a lot of planning and preparation, we always end up having a good time together during our stay! 1. 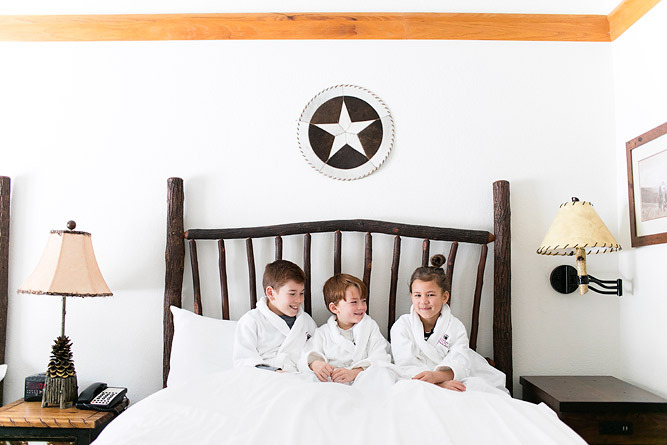 Finding the Right Accommodations: Booking the right accommodations can really make or break your family ski vacation. When we go on ski vacations I try to book a Vacation Rental, giving us access to a kitchen, extra space with at least two bedrooms and two bathrooms. 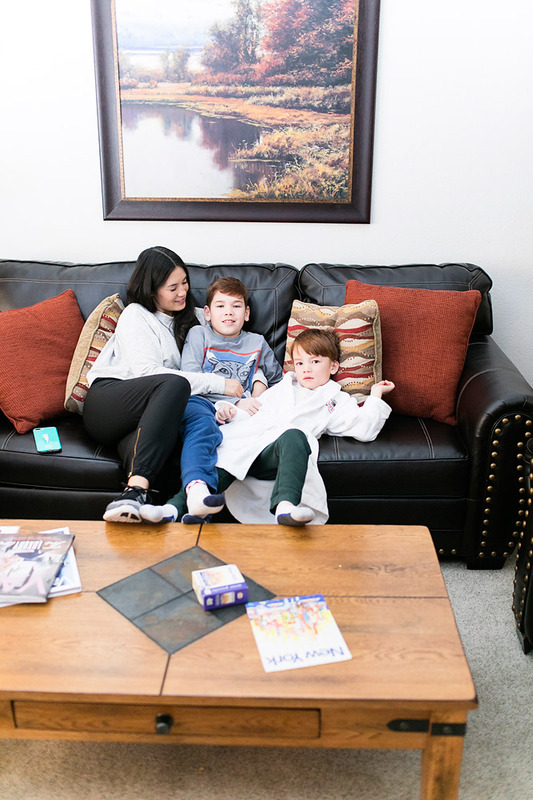 We have loved staying at Wyndham Vacation Rentals. 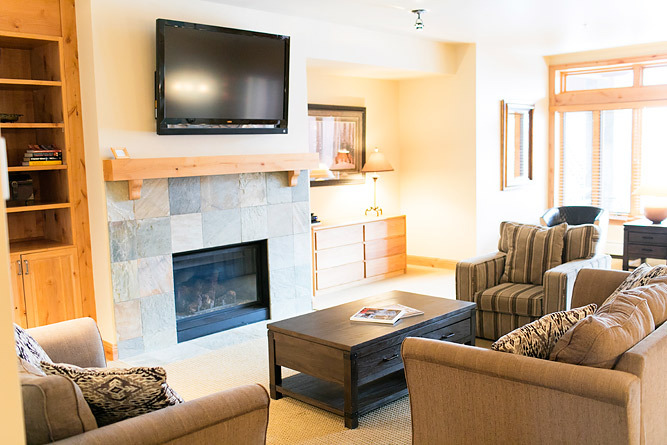 They offer a great selection of vacation rentals all over the country and in several ski towns. 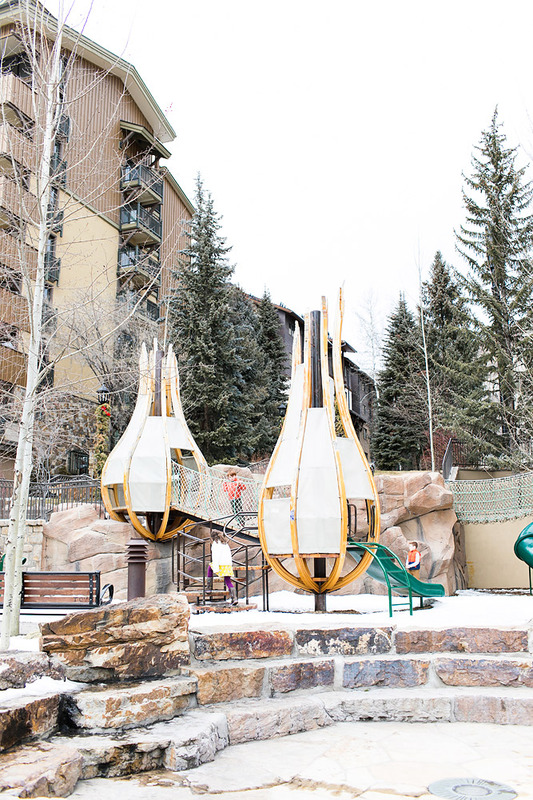 On our most recent trip to Colorado we stayed in two different Wyndham Vacation Rentals. 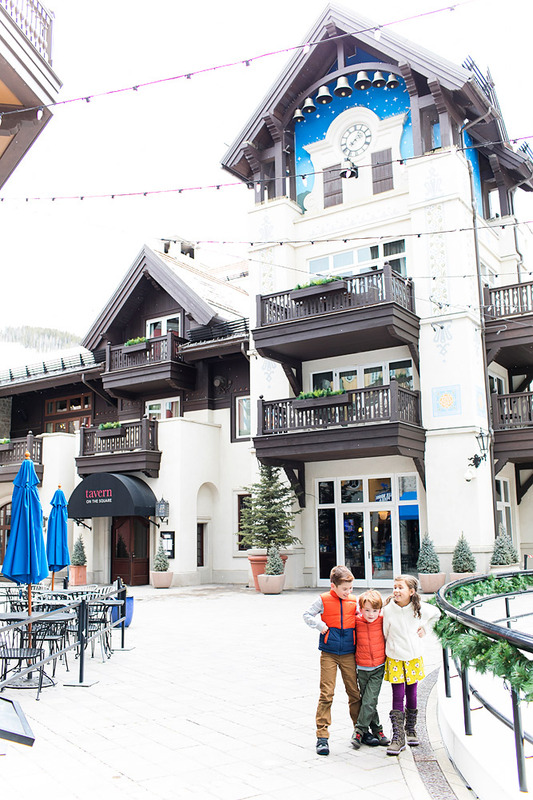 In Vail, we stayed at Lion Square Lodge right at the gondola. 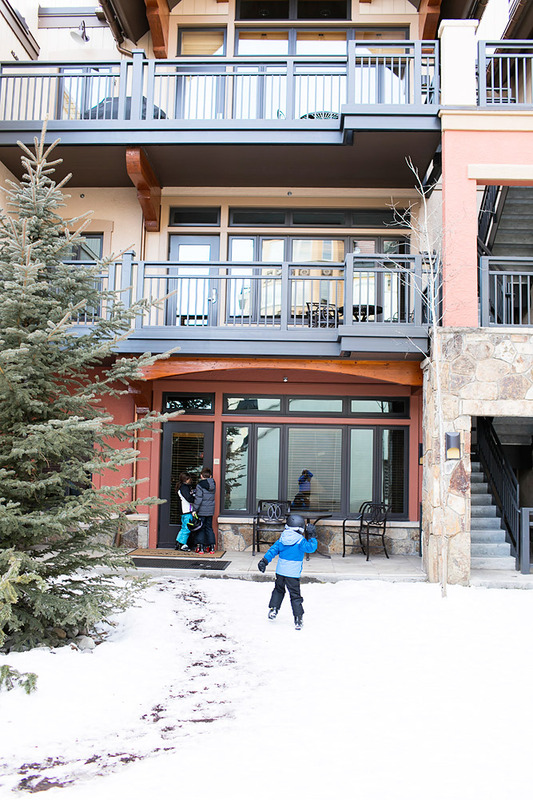 Our place was unit 115, and it was ideal for a family ski trip! It was just steps from the gondola, and it was such easy access and made it so nice to just gear up and ski in and ski out. They also store your ski’s for you right there at the base of the mountain! It was nice to be right on the mountain to come back for lunch or a quick break if needed! And, did I mention all the hot cocoa you can drink?! Well, I think my kids did just that! We also loved exploring Lion Head Village! We were steps away from restaurants, ice skating, kid friendly parks, and shops! 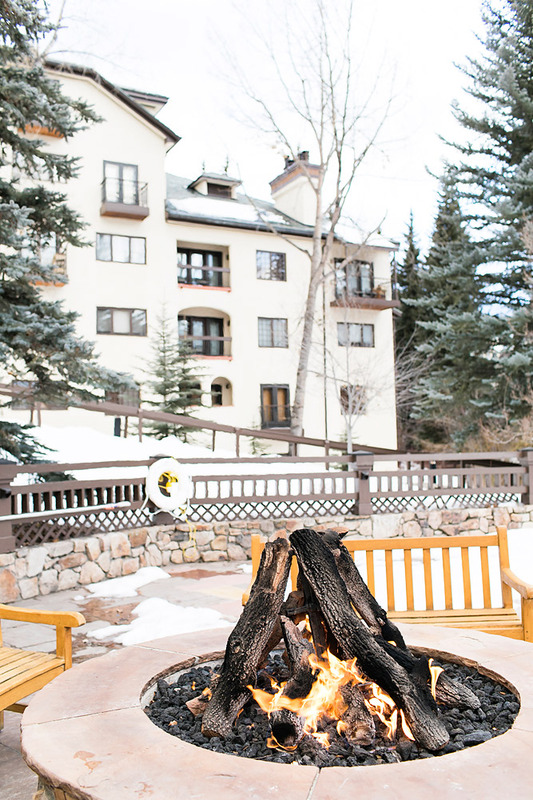 In Beaver Creek, we stayed at The Charter at Beaver Creek! 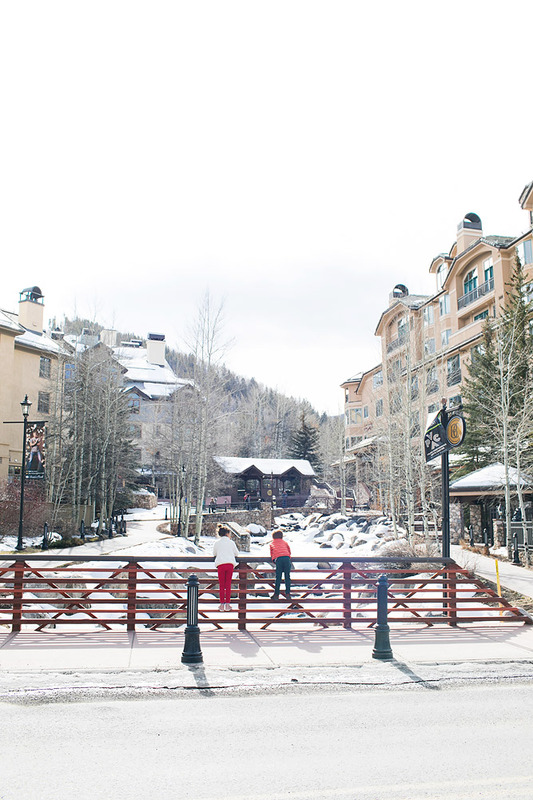 We also loved the accommodations, and they had a very convenient shuttle to and from Beaver Creek Mountain. We had a real log burning fireplace which made it magical for the kids, and a fun opportunity to make some s’mores after dinner! They also had a really nice indoor pool and hot tub, workout facilities, and spa! Perfect for après ski! 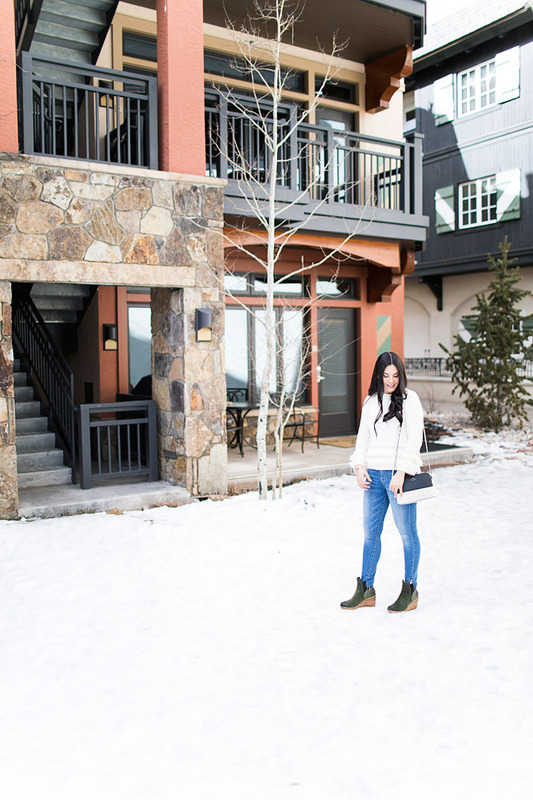 For a ski trip, I will always recommend a vacation rental for a nice place that feels like home to cozy up after a nice long day on the slopes! 2. 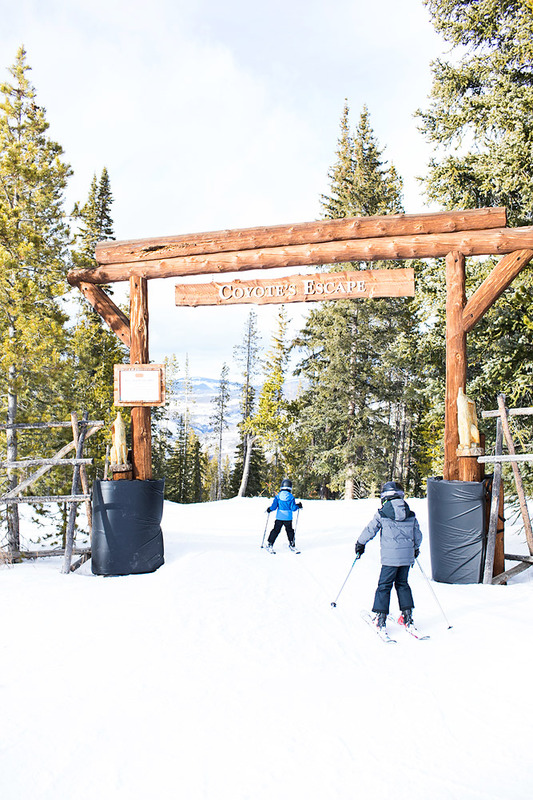 Pick the Right Ski Resort: When you are skiing with kids, you really want to take into consideration the ski resort you choose. Do they offer terrain that is kid friendly for your level of skier? Do they have a good ski school, if you plan to enroll your kids? How many lodges do they have on the mountain? Do they have family friendly lifts? How long are the lift lines? 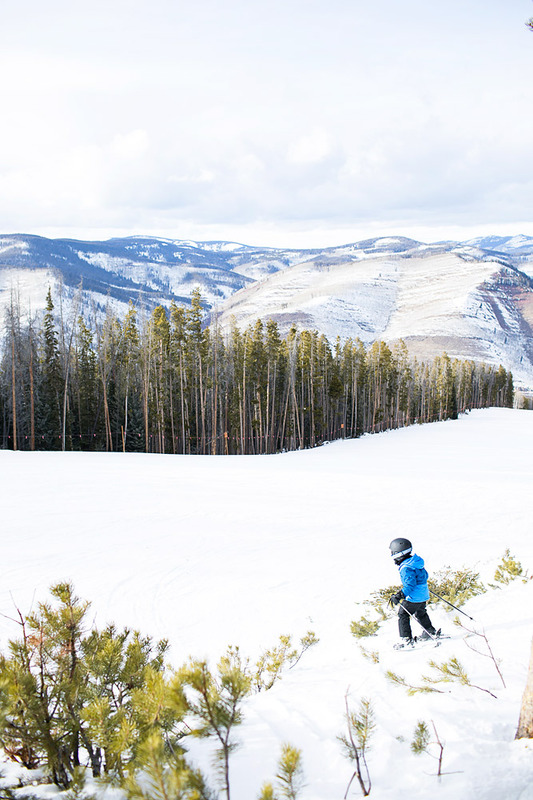 All things to consider when skiing with kids. You’ll want to be as informed as possible. 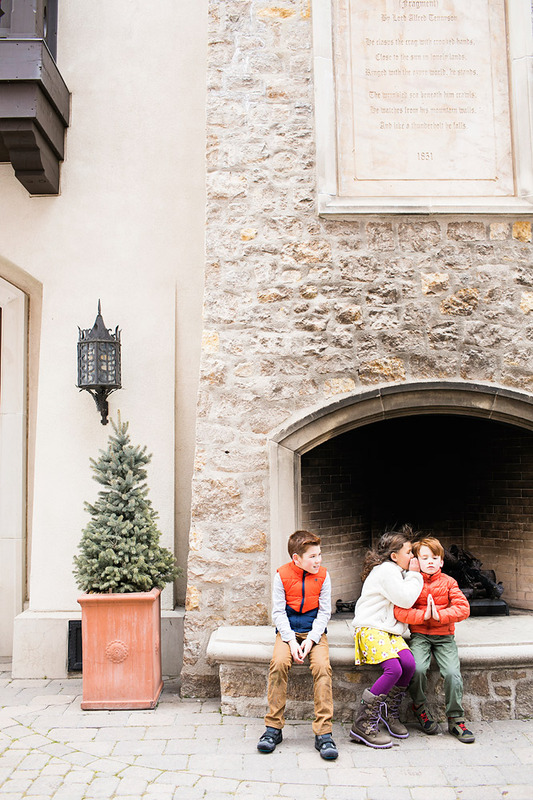 If your kids need to use the restroom or have a break, are there lodges throughout the resort to huddle up for a bit? 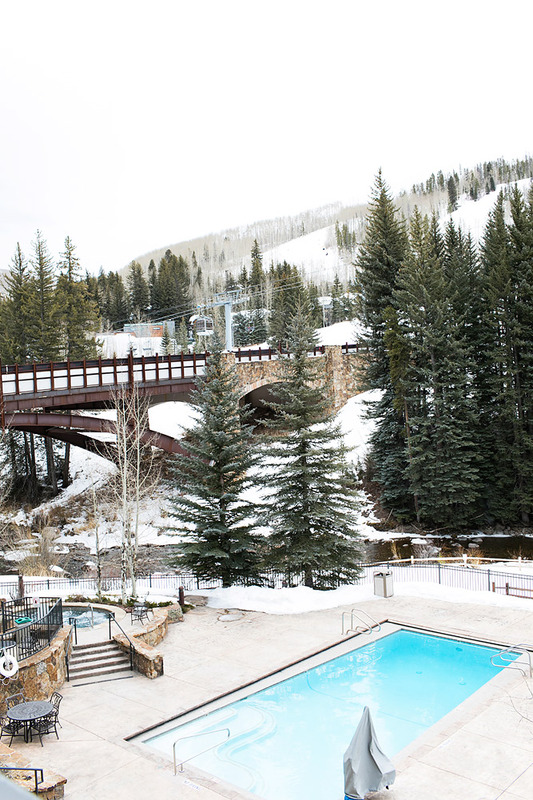 We loved skiing at Vail Mountain Resort, and Beaver Creek Resorts on our recent trip to Colorado! It was our first time there, and we had a great time exploring some new terrain! The kids loved their different Kid Zones with jumps, courses, and trails in the trees you can find on their Kid only map! 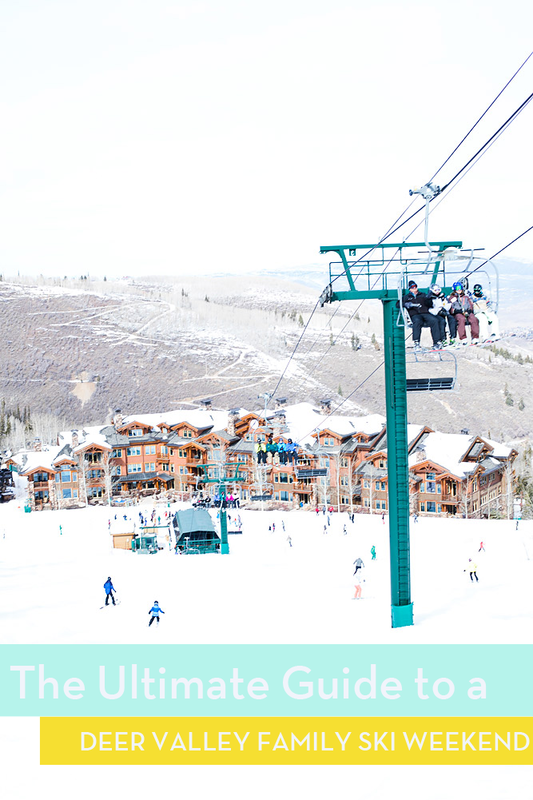 I would highly suggest to buy lift tickets online or by phone in advance for the best possible price! 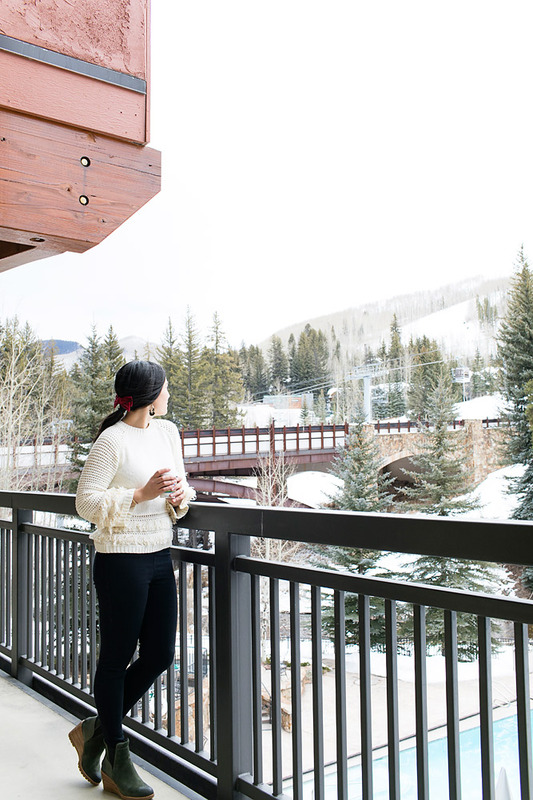 Vail and Beaver Creek are also a part of the Vail Resorts Epic Pass which include several resorts like Park City in Utah, so if you plan to ski at a few mountains, that is always something to look into! I wish we would have, it would have saved us a lot of money! 3. Have a Plan in Place when it comes to Meals and Snacks: When do kids get grumpy the most? When they are tired or hungry, right? Well, both of these situations tend to happen while on vacation, especially a ski vacation. The kids are on the mountain working hard, at higher altitudes, it can take a toll on anyone! So, making sure your kids stay well hydrated, and well-fed is key! Make sure you have a game plan when it comes to snacks and meals. 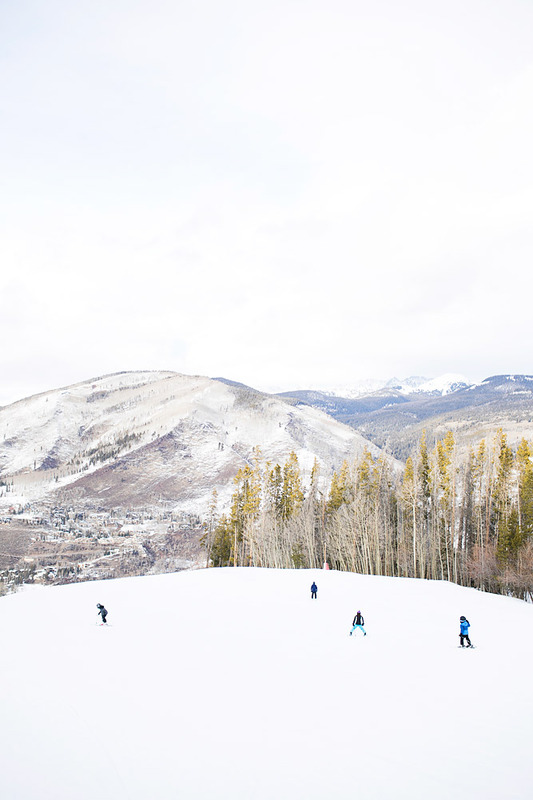 We always pack on-the-go snacks or even candy (great for bribery, wink) in our coats while we are on the mountain in case someone gets hungry they can quickly have a bite on the lift! Another good thing to plan on is meals. Make sure that your kids eat a good breakfast so they won’t be complaining of hunger the minute you hit the mountain. 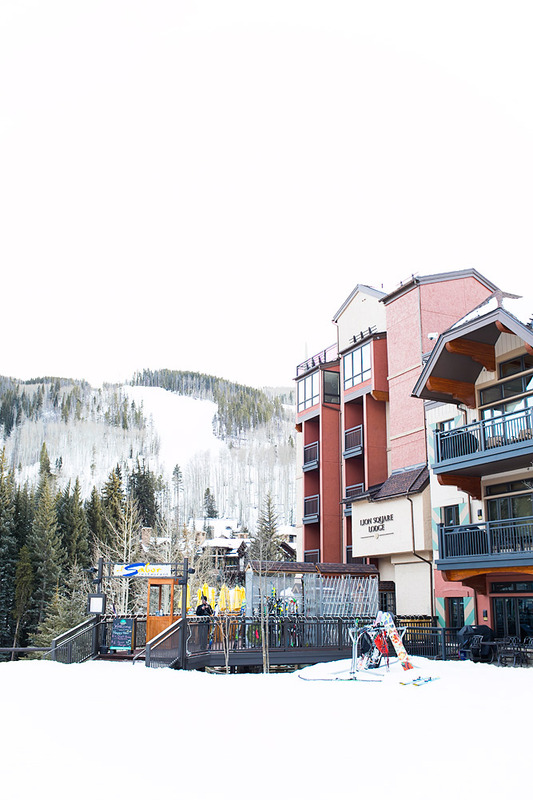 Will you be stopping and eating at the lodge mid-day? 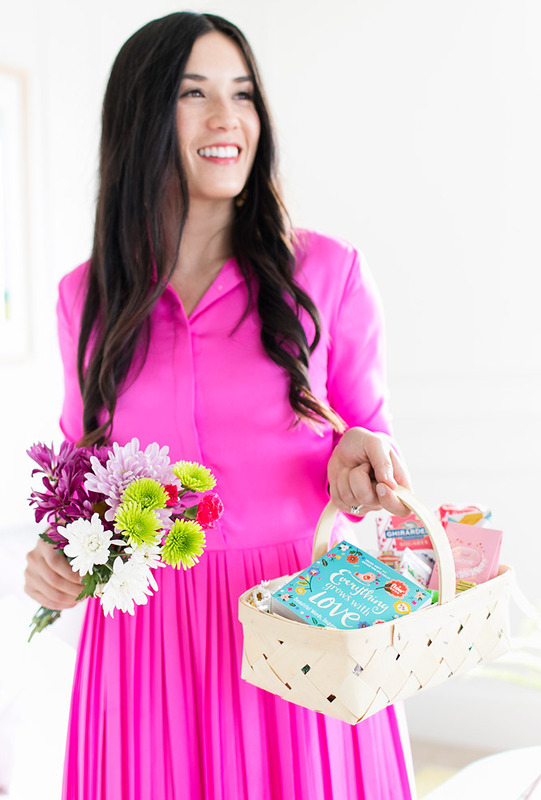 Packing a lunch? Dinner is always a key time that you will want to have a plan in place. 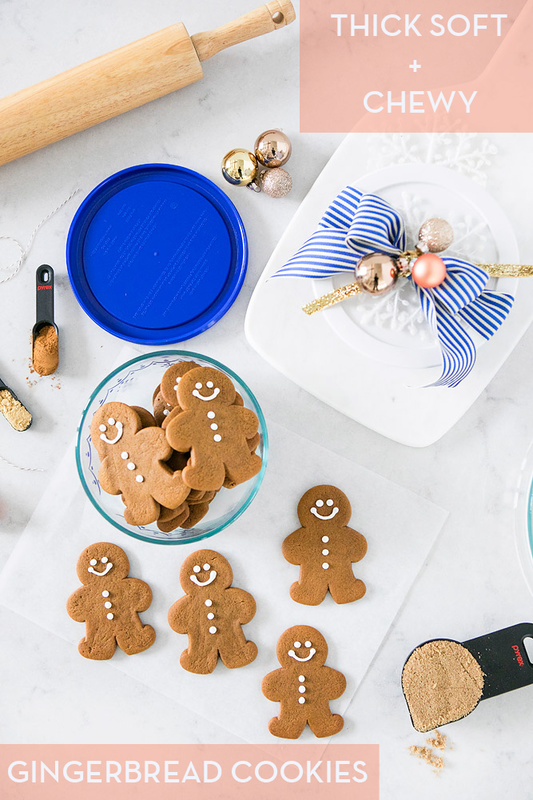 Will you be eating in and cooking dinner? 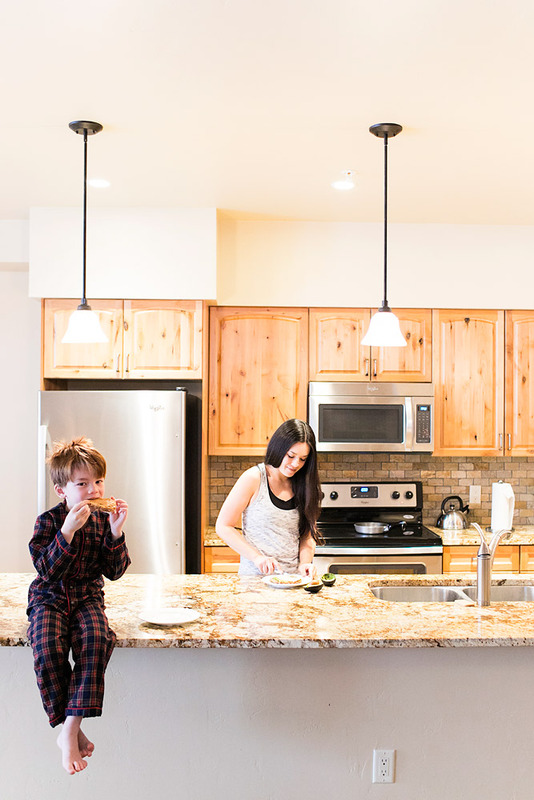 Having a vacation rental with a kitchen has always saved us as far as dinner time while skiing. 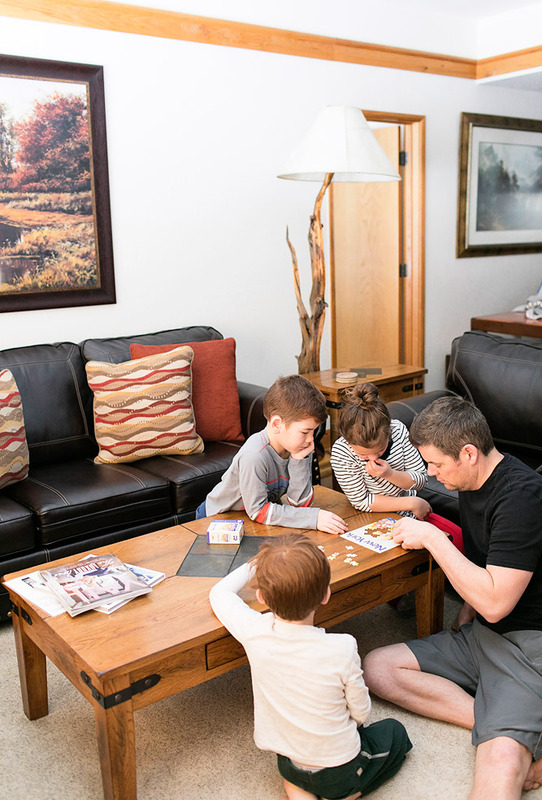 We will plan to shop or bring items to make for dinner ahead of time, so when the kids are enjoying some relaxing time after skiing, we can eat in. If we want to go out? Then having reservations is a MUST. There is nothing worse than your kids being tired, and hungry and you are still deciding on where to eat for dinner. 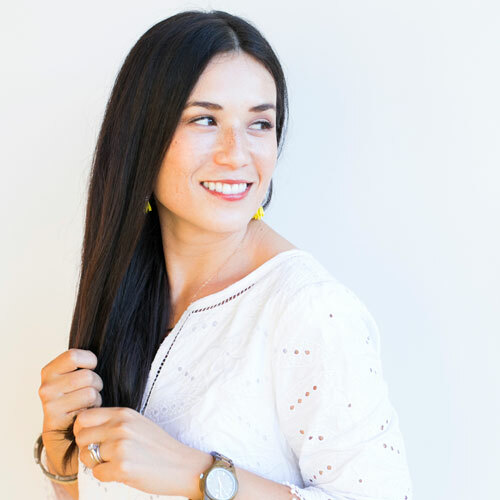 And, chances are, if you haven’t decided on where to eat for dinner, the restaurant will have a long wait if you just show up, or even more likely not have a reservation at all or until super late at night. Which is never a good idea when it comes to eating out with kids! This is being said from experience! 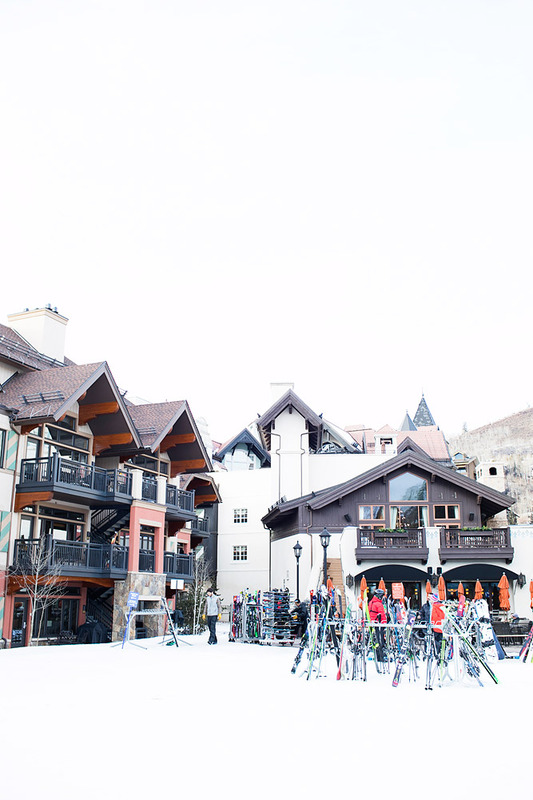 But, from my experience, ski towns and good dining usually go hand in hand, so be sure to explore the town, and all it has to offer! 4. 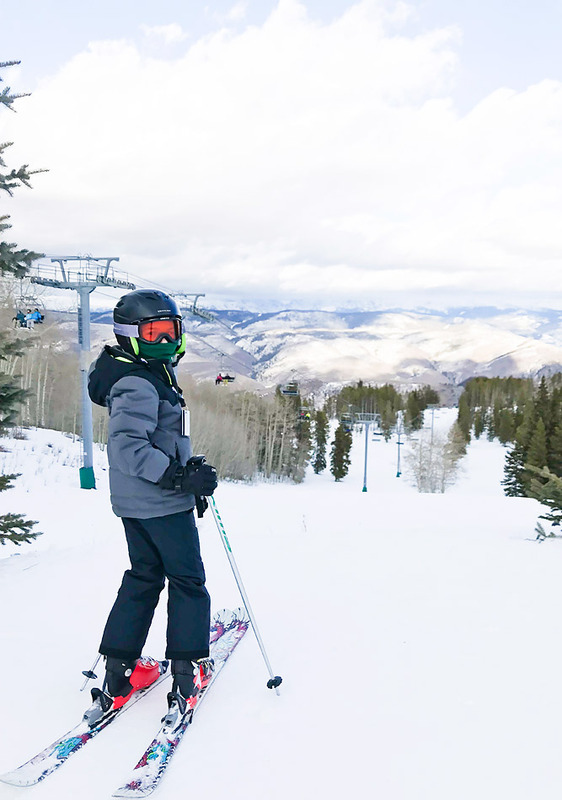 Best Ski/ Winter Gear for Kids: There are a few things you need to prepare as far as gear for your kids to be comfortable and happy on the mountain. If they are ill prepared to face the mountain, then it will most likely be a miserable day for everyone involved! You’ll want to first start with a good pair of Ski socks. Regular old socks just won’t cut it for those little toes, you’ll want tall socks specially made for skiing. If they are just thick socks, then they could cause problems later bunching up in their boots, and causing discomfort. Next, you will want a good base layer. 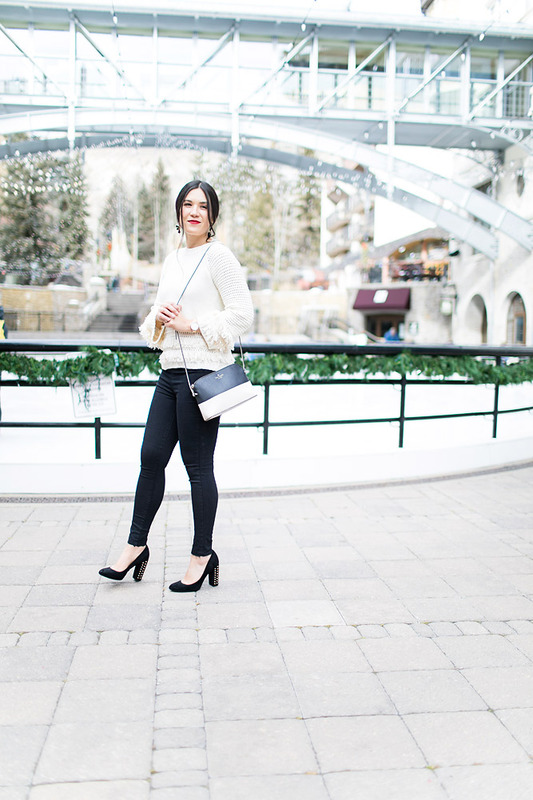 Thermal underwear or clothes specifically made for under winter gear are all good. Turtle necks to help keep their necks warm. We have even used tight fitting pajamas as the base layer, but keep in mind how they fit around the ankle, if they are too bulky around the ankle it could be uncomfortable with socks and their boots on. Depending on the weather, I will add another layer before the coat or ski pants. Usually if the weather is below 30 degrees I will add a fleece jacket, vest or even another little down coat underneath. Feel it out, and be sure to check the weather. Neck protection. We always put a ski gaiter or neck tube for our kids to help keep their necks warm. Depending on the one you buy, they can go up around the head under the helmet and over the face as well for the most weather protection. 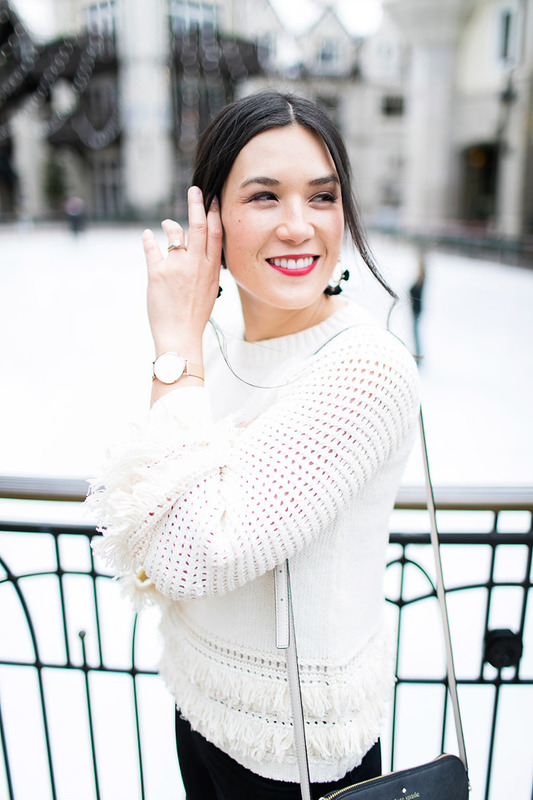 They come in handy on a cold day, and really help your face from freezing. Gloves / Hand warmers: Good quality gloves are key to a successful ski trip. Make sure you head to your sporting goods store, and purchase gloves that are waterproof and extra warm! 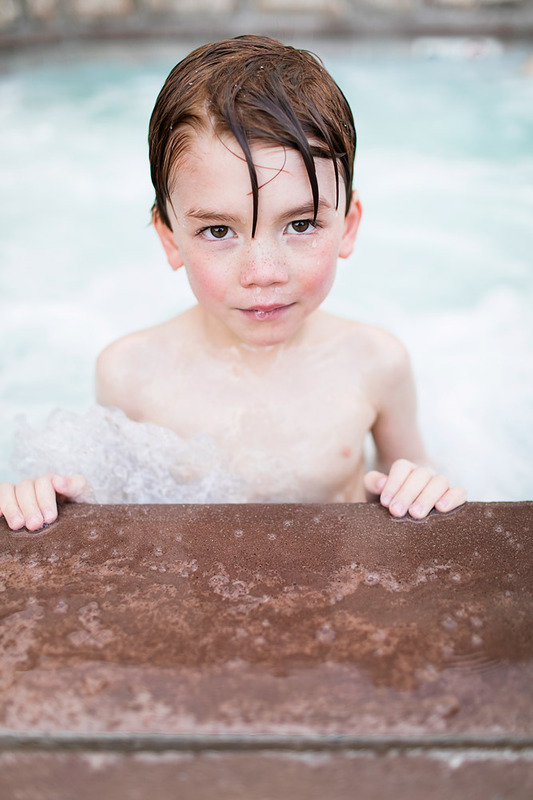 You’ll want the longer ones for kids that synch up on the arm so no snow can get in. There is nothing worse than having cold limbs! I also buy a bunch of those self heating hand warmers that you can put in your coat or pant pockets for extra warm or directly in your gloves or boots if they are made for that. They have made a huge difference, and I usually steal a few for myself! 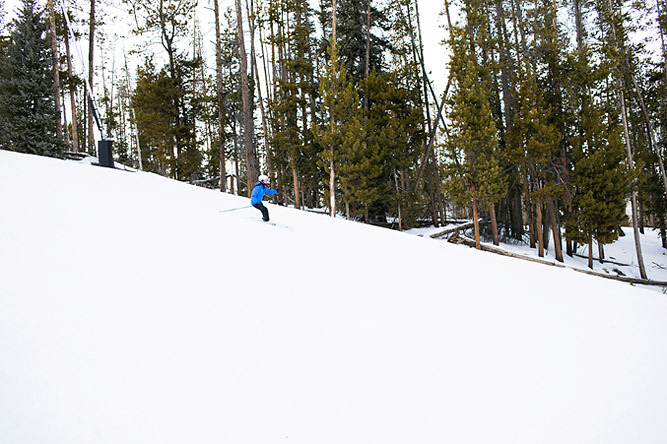 Good Quality Ski Coat: A coat that is waterproof and weatherproof made specifically for skiing is a must out on the slopes. A warm winter coat won’t do the trick, because it needs to withstand wet conditions, and wind as well. 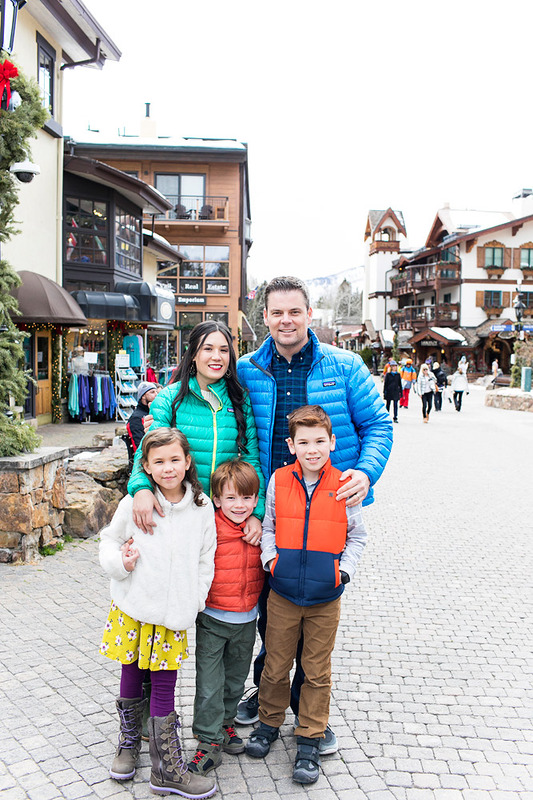 Anything with Gore Tex is top of the line, but name brands like Patagonia, Columbia, North Face, Spyder, always do a good job with their kids gear made specifically for skiing. Good Quality Ski Pants/ Jumpsuit: Ski pants are a must for on the slopes. They usually are waterproof and have some padding to keep your kids extra warm. When they are little like under 8 or so I like to get the ski pants that have straps over their shoulders and zip up. This helps keep the pants up and keeps them extra warm. Ski Helmet: A ski helmet in my opinion is required for everyone in the family. Skiing can be dangerous, and you want to have the best protection possible for you and your kids. You are going to want to get a helmet specifically made for skiing, bike or skate helmets just won’t do since they aren’t made for the sport. Ski helmets have special padding and coverage, they also double as a warm hat to keep your head warm. I would suggest the ones with built-in vents that can open and close in case of cold or warmer temperatures. Eye Protection: Eye protection on the slopes is extremely important. With the sun reflecting off of the snow, it can cause some serious eye problems. We have purchased goggles for all of our kids. They help to not only protect their eyes, but also keep that part of their face nice and warm! The tint of the goggles will help protect from the sun, and also help them to see the contours of the snow while they are skiing. 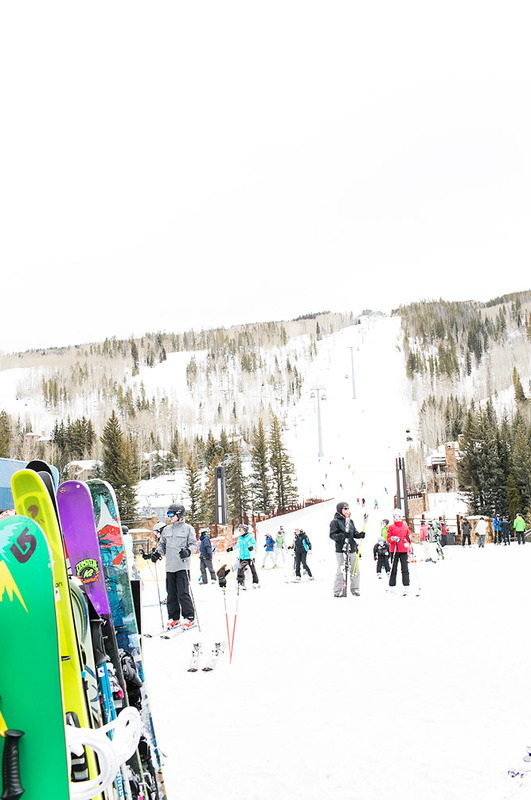 Ski Gear and Boots: Now that they are outfitted properly it is time to get the right ski gear and boots! I would highly recommend heading into a ski and boot shop to be sized and fitted. 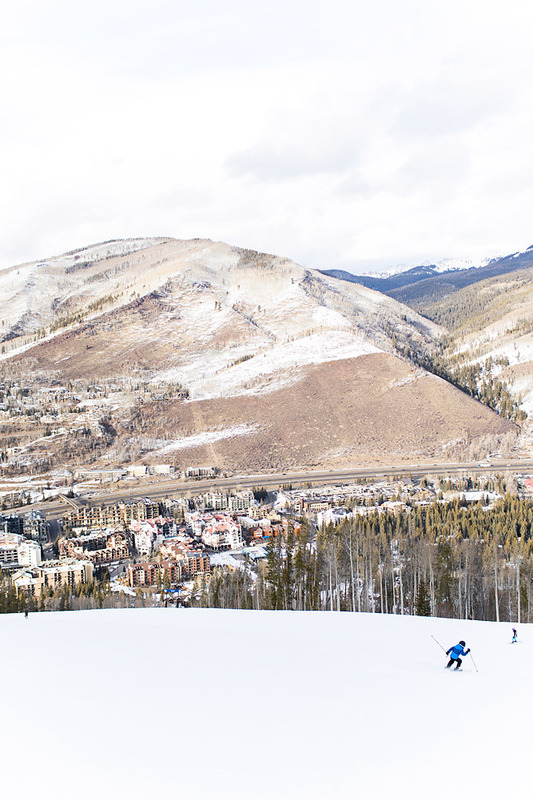 The proper ski and boot size will make the world of difference out on the mountain. 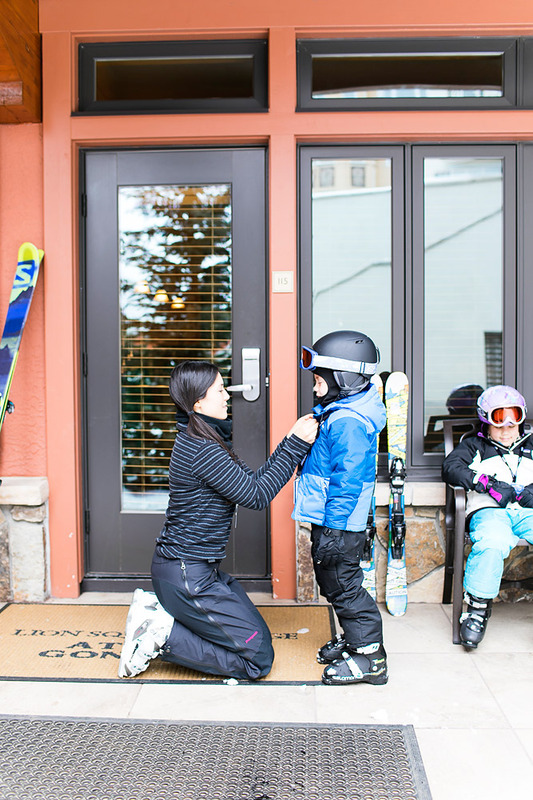 If your kids have too large or too small of boots or skis, it will definitely effect how they are going to be feeling during the day. The last thing you want is for one of the kids to complain about their boots being too small in the middle of a family ski day. 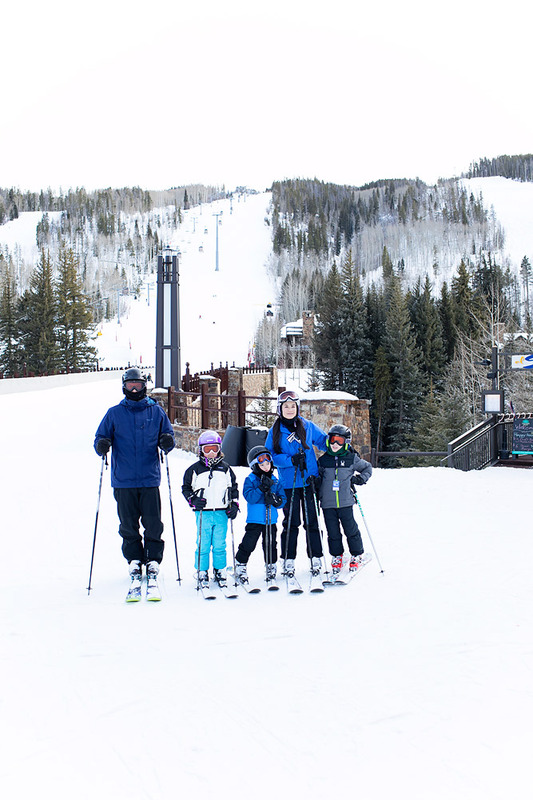 We have all of our own gear for our kids, but you can easily rent ski’s at resorts or a nearby shop, and they will measure you and get you in the right equipment for a successful outing! 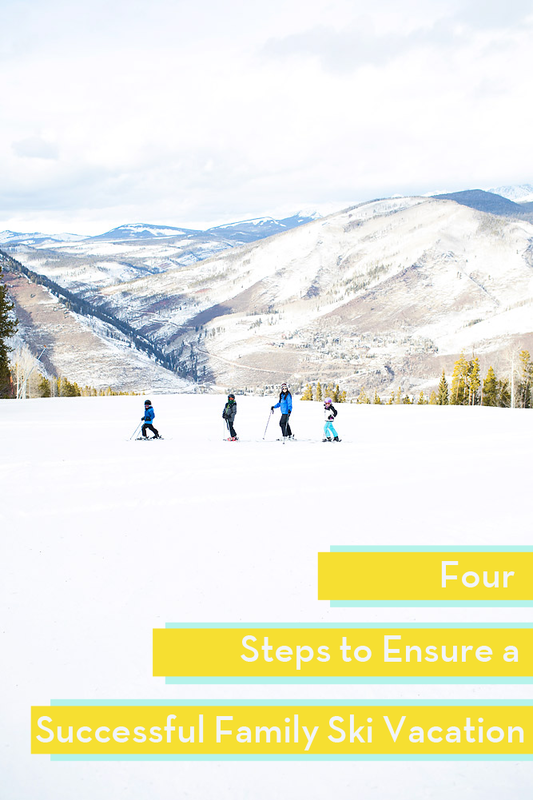 With all of these steps in play, you will be able to plan and execute a successful family ski vacation that I know you will cherish for years to come! As I said before, planning and preparing for family vacations are always a lot of work, time, money, and energy, but they are always the moments that I hold most dear and look back on fondly. Enjoy those family moments friends, because I sure have learned that time is passing by quickly! And, as I like to say…you’ll only regret the trip you didn’t take! For more information about Wyndham Vacation Rentals, be sure to check out their website, and social media channels below!